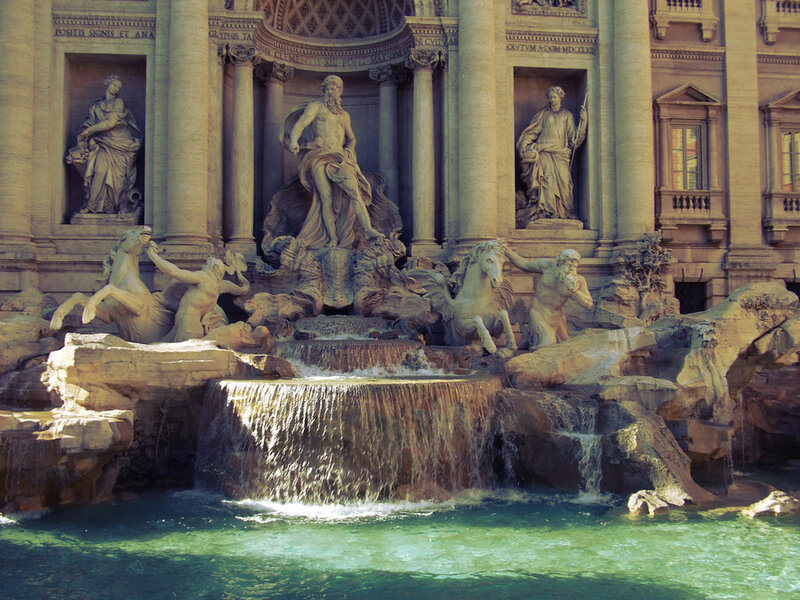 J is for Joelle: Italian Fountains And Happiness. 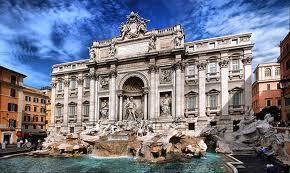 When I was in Italy for the grand total of 24 hours a few years ago I got to see the amazing Fontana Di Trevi. After walking down back streets in rather humid weather for what felt like forever, I finally arrived. The myth at the Fontana is if you make a wish (as it is with most fountains) and throw in money, your wish will come true. 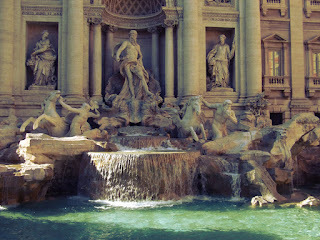 I sat at the edge of the fountain for a while deciding what I wanted to wish. When I was confident I had figured out the perfect wish and the perfect wording for this wish (I had to make sure it was perfect because I didn't know when I would ever be back to do it again) I grabbed my coins and tossed them in. My wish was that Drew would find happiness first. I wanted him to find someone and make a life that he was happy with. I wanted my children to be happy too, then when all that was settled, I wished that I would find happiness too. Drew and R are due with a baby in a few weeks, he looks happy and healthy. We all get along well, there is no tension. We communicate about the children respectfully and peacefully. It is exactly where I dreamed we could get this. I have never wished for life to be easy, or without stress and problems. That is silly and impossible, but I do believe that happiness can still be found amongst life's garbage. Joelle, I was looking at the pictures that you've been posting lately. (especially last post) They seemed different to me, and I had decided that you seem to appear to have a greater sense of happiness about you in them. Not that you didn't appear happy in previous pictures, the new ones are just different. I am happy Ken. I know what happiness is, and to be honest I dont know If I really understood it completely before. I know happiness has nothing to do with money and happiness can be found even when life is challenging and is present when I am single. I am in charge of my happiness. Thank you for noticing what I have been working so hard on. I am grateful for learning to truly live on a budget. I am grateful for sprinklers from walmart on hot days that little children jump and play in. I am grateful for how good cold beer tastes on hot days.